When you or your friend or family member gets sent to prison, a big concern for many people is communication. How will I communicate with them? Will they be able to communicate with me? What will the communication sources cost us? What is the schedule? All of these are great questions. We completely understand that communication is a big key to any relationship. You want to be able to hear their voice. You want to be able to maintain some sort of communication better than you could ever hope for. You will be surprised to know that inmates are certainly allowed to make calls. Most calling times are usually between 8am-11pm, but you will have to contact the prison or jail where your family member or friend is being held to get the accurate time frame. Inmates will not be able to make calls until their morning count is complete. If there are any problems during their morning count, you can expect a delay. If the prison happens to be on lockdown, no one will be able to use the telephone. 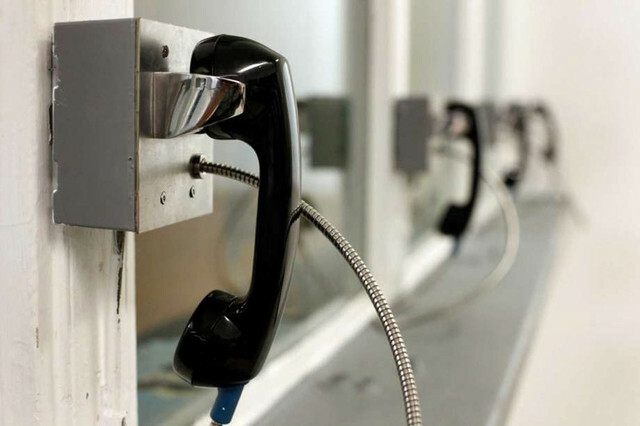 Inmates can make phone calls; however, inmates are not allowed to receive phone calls from anyone on the outside. You will not be able to call them. You will have to wait for them to call you. One way for them to call you is by calling collect. Just keep in mind that cell phones are not capable of receiving collect calls. Many prisons do not let inmates call anyone. You must be on the inmates approved list for them to be able to call you. When an inmate first gets to prison, they will be asked to fill out a telephone list. You will want to make sure they know your number or else you may not make it on the list. However, if they did not quite remember your number, that does not mean you are not in luck. Inmates can add to the list when they remember your number. Most prisons do have a limit of numbers they can have on their list. It is usually capped off at 10, so they will need prioritize who they will call, and you will have to make plans that way. If you found out that they did not put your number on their list due to not knowing your number by heart, we recommend sending them a letter with your number written on it. That way they will be able to go down and add it to the approved list. However, not all prisons have that approved list, but that does not mean you will not run into problems receiving calls from the prison. Most of the time when you cannot get a call from the prison is because you gave them your cell phone. Cell phones cannot receive collect calls. You will need to give them a landline. If you do not have a landline, this can be a problem. It will be wise to get one for the time being, so you will be able to receive his or her phone calls. Another thing could easily be that your telephone service came with the feature where they block collect calls. If you have a landline and still cannot receive calls, you will want to contact your telephone service and see if that feature is on and turn it off. The prison which your friend or family member is being held at more than likely has a contract with a prison phone service such as Telmate, Global Tel Link, or Securus. Before you can start to fully receive phone calls, you will have to set up an account with their service provider. This is easy. You can do it by going to the service providers website or by calling the service provider. When setting up the account, the service provider will be able to tell how long this process can take. Direct billing will send you a monthly bill. You will pay for your service once a month. You will be able to talk without having to worry about paying for it as you go. This is a good option, if you rather pay it all at once instead of $20 here and $20 there. The prepaid option is to fund the inmates account. This will allow them to make phone calls if they have money in their account. However, the only downfall is, this money can be used for them to call other people, not just you. So, you could end up funding them to call other family members and friends. If money is an issue, this could easily cost a lot more in the long run. Once you got your account set up and funded, now you will be able to start receiving your phone calls. This is the best part. First thing is first, you will want to know when they will call you. You can either ask your family member or friend on the inside when is their telephone time, or you can always call up the prison information number and you can ask them when the inmates have their phone privileges. You will want to keep in mind that telephone time frames will be strict. They will not be able to phone you outside of these ever. However, you may not always be able to talk to them on this time for certain either. This can be due to them missing their scheduled phone time, or if the prison is on lockdown. When they finally call you, you will either see a global tel phone number, or a blocked number. Whichever one. It will all depend on if you have caller identification on your phone. If so, put the gtl number in your phone. It is usually best to label it something as cell phone prison number. When you answer the phone, before you get to talk to them, you will hear the automated message telling you that a call from an inmate in prison or jail, and they will ask you if you would like to accept the call. Make sure you follow the prompts promptly to be able to get connected to your family member or friend. How Long Do I Have to Talk? We discussed that there will be certain times that they can call you, but we have not dived in and talked about the length of the call. Mostly all prisons and jails throughout the United States will only allow 15-minute phone calls. This is since many people are trying to call home, so to make time for everyone to get a chance to use the phone. Some services may let you know when you only have one-minute left. However, nearly all services will cut you off when the time limit is reached. Just know once the time limit is reached, they will not be able to call back, so keep a close eye on the time. Also, keep in mind that all calls going out of prison is closely monitored and can be recorded. Keep your topics clean. Do not joke about offensive things. If you are talking about things that could be a safety risk, your call will be dropped. Another thing to keep in the back of your mind, you will not be able to do three-way calls either. If you try to do a three-way call, your call will be dropped. If you hand the phone off to someone else, your call will be dropped. How Long Can an Inmate Talk a Month? This question gets asked a lot. You want to know how long you can talk to them a month. Well, it differs for state, county, and city jails or prisons. If you are located in a federal state prison, you get 300 minutes a month. However, in November and December, you get 400 minutes. In other prisons, it differs. Many due to how much you want to pay. Phone prices can be a money eater. If you are not local to the facility, it can be much more than if you are local. The best thing you can possibly do is see what all your telephone options are and make the best plan of action for your situation to get the most out of your calls with your loved one.